Leadenhall Market is a covered market in London, located on Gracechurch Street but with vehicular access also available via Whittington Avenue to the north and Lime Street to the south and east, and additional pedestrian access via a number of narrow passageways. The market dates from the 14th century and is said to derive its name from Leather-hall, though it's disputable. It is typically open weekdays from 10 am until 6 pm, and primarily sells fresh food; among the vendors there are cheesemongers, butchers and florists. Originally a meat, game and poultry market, it stands on what was the centre of Roman London. 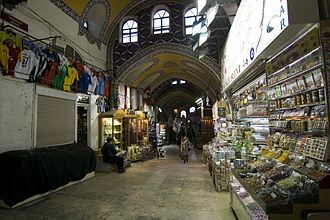 A number of commercial retailers are also located in the market, including clothes shops and a pen shop. The ornate roof structure, painted green, maroon and cream, and cobbled floors of the current structure, designed in 1881 by Sir Horace Jones (who was also the architect of Billingsgate and Smithfield Markets), make Leadenhall Market a tourist attraction. The main entrance to the market is on Gracechurch Street. The double height entrance is flanked by tall, narrow gabled red brick and Portland stone blocks in a 17th-century Dutch style. The adjacent buildings to the south have a continuous retail frontage which is punctuated by narrow entrances to pedestrian ways into the market. Between 1990 and 1991 the market received a dramatic redecoration which transformed its appearance, enhancing its architectural character and detail. The redecoration scheme received a special mention in the Civic Trust Awards in 1994. The market is a Grade II* listed building, being listed in 1972. It was used to represent the area of London near the Leaky Cauldron and Diagon Alley in the film Harry Potter and the Philosopher's Stone (2001) and is featured in the films The Imaginarium of Doctor Parnassus, Hereafter, Brannigan, and Love Aaj Kal. It was also used in the music video for the 1991 Erasure song "Love to Hate You". Leadenhall Market formed part of the marathon course of the 2012 Olympic Games; runners passed through the market from Whittington Avenue to Lime Street. Wikimedia Commons has media related to Leadenhall Market. The 2012 Olympic Marathon Course is that of both the mens and womens marathon races at the 2012 Olympic and Paralympic Games in London. The 42. 195-kilometre route consists of one circuit of 3.571 kilometres followed by three circuits of 12.875 kilometres. The 2012 Summer Olympics is the third to be held in London, the route, as confirmed in October 2010, starts on The Mall about 350 metres from the Victoria Memorial and has four laps, finishing at the start point. It follows the Victoria Embankment towards the City of London where it takes a winding route, at this point there is a U-turn and the route heads westwards, again using the Embankment as far as the Palace of Westminster and thence back to The Mall. The last three laps are identical and are exactly 8 miles each, the first lap, which only incorporates the south-western section of the route, is 2 miles and 385 yards long. The marathon route starts part way along The Mall and, heading away from Buckingham Palace proceeds through Admiralty Arch, a slight turn to the right onto Northumberland Avenue which drops down to near river-level over a distance of 350 metres. 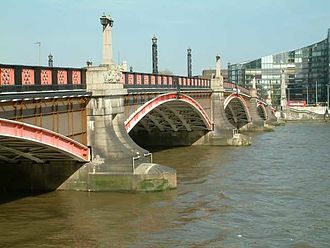 The Embankment is the longest straight stretch in the race, about 1,500 m on the leg and 2,100 m on the return leg. It leads the runners past Cleopatras Needle and the lions that symbolically defend the limits of the City of London. The route passes around the west end of the cathedral, across Paternoster Square, behind St Bartholomews Hospital and eventually along a route including St. Martins Le Grand. On the third lap, runners cross the half way mark within sight of St Mary-le-Bow and within earshot of the Bow Bells. Leaving Cheapside, the route goes through the heart of the City, past the offices of many of the worlds best known banks into the Guildhall Yard. From the Guildhall, the passes the Bank of England at Bank junction and down Cornhill. At the end of Cornhill, continuing onto a portion of Leadenhall Street. Competitors make their way onto Eastcheap, via Fenchurch Street and Gracechurch Street, on Tower Hill, a short distance from the Towers moat, the course makes a U-turn back to Lower Thames Street at the start of the return leg. Harry Potter and the Philosophers Stone is the first novel in the Harry Potter series and J. K. Rowlings debut novel, first published in 1997 by Bloomsbury. It was published in the United States as Harry Potter and the Sorcerers Stone by Scholastic Corporation in 1998. 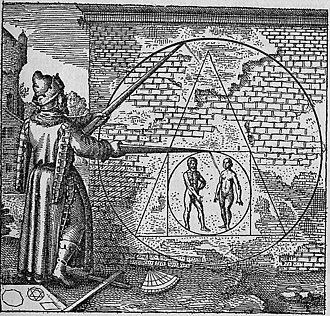 The plot follows Harry Potter, a wizard who discovers his magical heritage as he makes close friends. With the help of his friends, Harry faces an attempted comeback by the dark wizard Lord Voldemort, who killed Harrys parents, the novel won most of the British book awards that were judged by children and other awards in the US. The book reached the top of the New York Times list of best-selling fiction in August 1999 and it has been translated into at least sixty-seven other languages and has been made into a feature-length film of the same name, as have all six of its sequels. Most reviews were favourable, commenting on Rowlings imagination, simple, direct style and clever plot construction. The series has used as a source of object lessons in educational techniques, sociological analysis. The most evil and powerful wizard in history, Lord Voldemort, murdered James and Lily Potter but mysteriously disappeared after failing to kill their infant son. For ten years, living at number Four Privet Drive, Harry is treated by the Dursleys more like a servant than a member of the family and is forced to live in a cupboard under the stairs. Shortly before his birthday, a series of letters addressed to Harry arrive. To evade the pursuit of these letters, Vernon first takes the family to a hotel, but when the letters arrive there too, he hires a boat out to a hut on a small island. Hagrid takes Harry to a hidden London street called Diagon Alley, where he is surprised to discover how famous he is among the witches and wizards and he finds that his parents inheritance is waiting for him at Gringotts Wizarding Bank. Guided by Hagrid, he buys the equipment he will need for his first year at Hogwarts, a month later, Harry leaves the Dursleys home to catch the Hogwarts Express from Kings Cross railway station. A peddler, in British English pedlar, known as a canvasser, cheapjack, higler, monger, or solicitor, is a traveling vendor of goods. In England, the term was used for travellers hawking goods in the countryside to small towns and villages. In London more specific terms were used, such as costermonger, Peddlers have a long and colourful history. From antiquity, peddlers filled the gaps in the market economy by providing consumers with the convenience of door-to-door service. They operated alongside town markets and fairs where they often purchased surplus stocks which were resold to consumers. Thus, peddlers played an important role in linking these consumers, some peddlers worked as agents or travelling salesmen for larger manufacturers, thus were the precursor to the modern travelling salesman. In Europe, suspicions of dishonest or petty criminal activity was associated with peddlers and travellers. From the 16th century, peddlers were often associated with negative connotations - attitudes which persisted well into the nineteenth and twentieth centuries. The origin of the word, known in English since 1225, is unknown, peddlers travelled on foot, carrying their wares, or by means of a person- or animal-drawn cart or wagon. Peddlers were known by a variety of names throughout the ages, including Arabber, hawker), chapman, typically, peddlers operated door-to-door, plied the streets or stationed themselves at the fringes of formal trade venues such as open air markets or fairs. Peddlers sometimes doubled as performers, healers, or fortune-tellers, as market towns flourished in medieval Europe, peddlers found a role operating on the fringes of the formal economy. They called directly on homes, delivering produce to the door thereby saving customers time travelling to markets or fairs, customers paied a higher price for this convenience. Some peddlers operated out of inns or taverns, where they acted as an agent rather than a reseller. Peddlers played an important role providing services to geographically isolated districts, such as in the regions of Europe, thereby linking these districs with wider trading routes. A butcher is a person who may slaughter animals, dress their flesh, sell their meat or do any combination of these three tasks. They may prepare standard cuts of meat and poultry for sale in retail or wholesale food establishments, a butcher may be employed by supermarkets, grocery stores, butcher shops and fish markets, slaughter house, or may be self-employed. An ancient trade, whose duties may date back to the domestication of livestock, many jurisdictions offer trade certifications for butchers. Some areas expect a three-year apprenticeship followed by the option of becoming a master butcher, butchery is a traditional line of work. In the industrialized world, slaughterhouses use butchers to slaughter the animals, the steps include stunning, skinning or scalding and dehairing and splitting. Secondary butchery involves boning and trimming primal cuts in preparation for sale, historically and secondary butchery were performed in the same establishment, but the advent of methods of preservation and low cost transportation has largely separated them. In parts of the world, it is common for butchers to perform many or all of the butchers duties, where refrigeration is less common, these skills are required to sell the meat of slaughtered animals. Some butchers sell their goods in specialized stores, commonly termed a butcher shop, butchers at a butcher shop may perform primary butchery, but will typically perform secondary butchery to prepare fresh cuts of meat for sale. These shops may sell related products, such as food supplies, baked goods. Butcher shops can have a variety of animal types, meat cuts. Additionally, butcher shops may focus on a culture, or nationality. Some butcher shops, termed meat delis, may include a delicatessen. In the United States and Canada, butcher shops are becoming common because of the increasing popularity of supermarkets. A primal cut is a piece of meat initially separated from the carcass during butchering, different countries and cultures make these cuts in different ways, and primal cuts differ between type of carcass. Costermonger, coster, or costard is a street seller of fruit and vegetables, in London and other British towns. 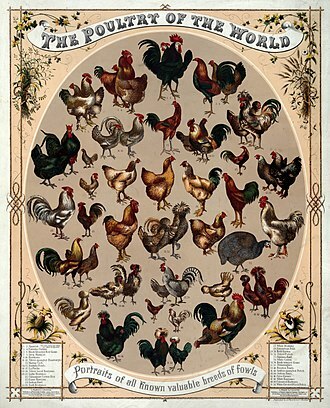 Costermongers were ubiquitous in mid-Victorian England, and some are found in markets. As usual with street-sellers, they would use a loud sing-song cry or chant to attract attention, the costermongers cart might be stationary at a market stall, or mobile. The term is derived from the words costard and monger, costers met a need for rapid food distribution from the central markets. Their membership as a coster was signalled by their large neckerchief, known as a kingsman and their hostility towards the police was legendary. The term, was coined during the sixteenth century. It first appeared in the English language in around 1510, the term, coster is a corruption of costard, a kind of apple and the term monger meaning a trader or broker. Although the literal meaning refers to an itinerant apple-seller, the term was used generally to refer to anyone who sold fresh fruit or vegetables from a hand cart. Technically, costermongers were hawkers since they rarely traded from fixed stalls and they purchased produce from the wholesale markets and sold it at retail. 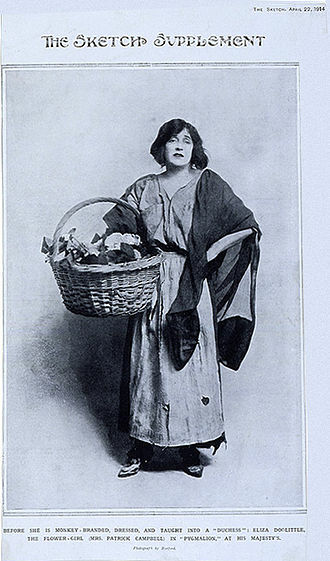 Their fruit and vegetables were placed in baskets, barrows or carts, although the term, was used to describe any hawker of fresh produce, the term became strongly associated with London-based street vendors. 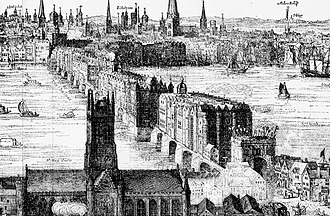 Costermongers were known to have been in London from at least the 16th century, both Shakespeare and Marlowe mention costermongers in their writings. They probably were most numerous during the Victorian era, when there were said to be over 30,000 in 1860, weights were flattened to make them look bigger and heavier, measures were fitted with thick or false bottoms, in order to give false readings. However, crimes such as theft were actually rare among costermongers themselves, even common thieves preferred to prey on shop owners rather than costers, who were inclined to dispense street justice. The activities and lifestyles of 19th century costermongers are among the subjects documented in London Labour and the London Poor, by the end of the 19th century, the costermongers were in gradual decline. Billingsgate Fish Market is located in Poplar in London. It is the United Kingdoms largest inland fish market and it takes its name from Billingsgate, a ward in the south-east corner of the City of London, where the riverside market was originally established. In its original location in the 19th century, Billingsgate was the largest fish market in the world. Billingsgate Wharf, close to Lower Thames Street, became the centre of a market during the 16th and 17th centuries. In 1850, the according to Horace Jones, consisted only of shed buildings. In that year the market was rebuilt to a design by J. B. Bunning, the new site covered almost twice the area of the old, incorporating Billingsgate Stairs and Wharf and Darkhouse Lane. 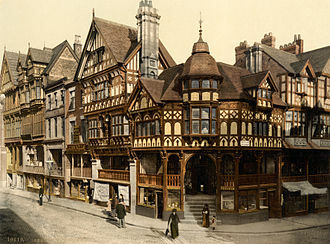 Work began in 1874, and the new market was opened by the Lord Mayor on 20 July 1877. The new buildings, Italianate in style, had on their long frontages towards Thames Street the river, a pedimented centre and continuous arcade, flanked at each end by a pavilion tavern. The general market, on a level with Thames Street, had an area of about 30,000 square feet, a gallery 30 feet wide was allocated to the sale of dried fish, while the basement, served as a market for shellfish. The opening of the changed the nature of the trade. The infamously coarse language of London fishmongers made Billingsgate a byword for crude or vulgar language, one of its earliest uses can be seen in a 1577 chronicle by Raphael Holinshed, where the writer makes reference to the foul tongues of Billingsgate oyster-wives. The market is depicted during Tudor times in Rosemary Sutcliffs 1951 childrens historical novel The Armourers House, the writer George Orwell worked at Billingsgate in the 1930s, as did the Kray twins in the 1950s. 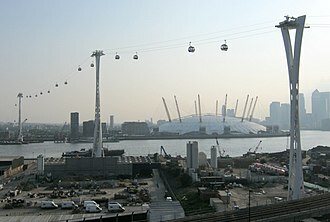 In 1982, the market was relocated to a new 13-acre building complex on the Isle of Dogs in Poplar, close to Canary Wharf. Most of the fish sold through the market now arrives there by road, from ports as far afield as Aberdeen, Billingsgate Market is open from Tuesday to Saturday. Trading commences at 4 a. m. and finishes at 8,30 a. m, security for the market is provided by the private Market Constabulary. Traditionally, the people allowed to move fish around the market were licensed fish porters. 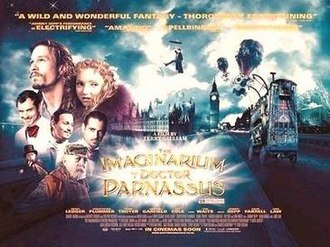 The Imaginarium of Doctor Parnassus is a 2009 British-Canadian-French fantasy film directed by Terry Gilliam and written by Gilliam and Charles McKeown. Ledgers role was recast with Johnny Depp, Jude Law, the Imaginarium of Doctor Parnassus interweaves several plot lines in a nonlinear arrangement. The film made its premiere during the 62nd Cannes Film Festival. The film, which was budgeted at $30 million, grossed more than $60 million in its theatrical release. The Imaginarium of Doctor Parnassus was nominated for two Academy Awards in the categories Best Art Direction and Best Costume Design, Doctor Parnassus theater troupe, which includes sleight of hand expert Anton, confidant Percy, and Parnassus daughter Valentina, performs outside a London pub. 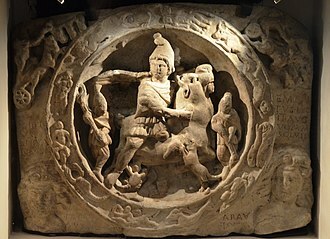 The troupes main attraction is a magical Imaginarium, which offers whoever enters it a choice between difficult self-fulfillment or easy ignorance, after a drunkard is swayed to the latter, Parnassus says he has lost another one to Mr. Nick, a suave personification of the Devil. Mr. Nick reminds Parnassus that in three days Valentina turns 16, and her soul will be his, hundreds of years ago Mr. Nick tricked Parnassus into gaining immortality, after making a wager similar to his current predicament. As the troupe crosses a bridge, Anton spies someone hanging beneath it and they rescue the man, who spits out a golden pipe when revived. Claiming to have amnesia, he joins the troupe as a barker, Parnassus becomes despondent over the impending loss of his daughter. Mr. Nick visits Parnassus, revealing the man is a disgraced philanthropist named Tony. He offers Parnassus a wager, Valentina can stay with whoever wins five souls first, Tony convinces the troupe to remodel the show into a more modern act. While performing, Tony lures a posh woman into the Imaginarium and follows her, the womans imagination changes Tonys face, upon discovering this, he dances elegantly with her, and they spy a motel run by Mr. Nick. Tony convinces the woman to take a gondola toward a pyramid alone, Tony falls back out of the Imaginarium, returning his face to normal, the woman exits shortly after and gives the troupe a vast sum of money. Leadenhall Street is a road in London that is about 0.3 miles long and links Cornhill and Bishopsgate in the west to St. Botolph Street and Aldgate in the east. It is situated in the City of London, which is the nucleus of modern London as well its primary financial district. It was formerly the start of the A11 road from London to Norwich, the Aldgate Pump is located at the east end of the street. During much of the 18th and 19th centuries its name was synonymous with the East India Company, the nearest London Underground station is Aldgate, and the closest mainline railway station is Fenchurch Street. The Leadenhall Press was established following a move of the publisher Field & Tuer to No.50 Leadenhall Street in 1868, in 1879 a telephone exchange was installed at No.101 Leadenhall Street by the Telephone Company Ltd. — one of the first in London. The street was home to East India House from 1729 until its demolition in 1861, Leadenhall Market is accessible via Whittington Avenue, a small side-road off Leadenhall Street. Child learning the art of Ikebana. Today, florists in Japan also sell pre-arranged or done-while-you-wait ikebanas to go. The original open air Billingsgate Fish Market in the early 19th century. Boats delivered fish to this small inlet of the Thames and business was conducted on the quayside. A few of the scenes featuring Zander Gladish, behind a mask, doubling for Ledger in the film. 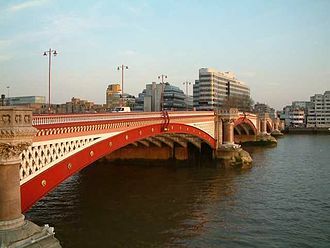 Tony is found hanging under Blackfriars Bridge. Andy Bell standing in front of the VLT in 2012. The start and finish of the 2012 Summer Olympics marathon course is on The Mall in London. The route passes the South Trancept of St Paul's Cathedral and then turns right to pass the West Door and thence northwards across Paternoster Square. St Mary-le-Bow, whose bells are known as the "Bow Bells" in the nursery rhyme Oranges and Lemons, is close to the mid-way mark of the route on Cheapside.